The Fat One natters today after the Vulgarian National Anthem. 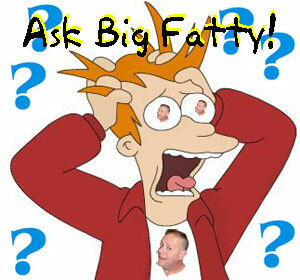 There’s an Ask Big Fatty question, an update on the weekend, a recap of the annual physical, taking possession of the Fat Villa and a quiz for old farts. Happy Tater Day. Posted by Big Fatty in Podcasts on March 31st, 2015 ‌ Both comments and pings are currently closed. If you have hardwood floors, and are even slightly thinking of getting them sanded, do it. Or at least just get them buffed with a new coat of poly. I use to install and sand hardwood floors, the dust is so fine, it gets everywhere! Get them done before you move in, don’t wait until you are moved in.